It’s pharmaceutical title is innocuous enough, but Alprazolam doesn’t roll off the tongue as easily as some of the other street names for Xanax. Footballs. Xannies (or Zannies). Totem poles. Handlebars. Z Bars. They’re all interchangeable terms for the prescription drug that’s the most recognizable of the benzodiazepine family, and one of the most commonly abused medicines after opioids. First patented in 1971 and approved for medical use in 1981, it’s commonly prescribed for anxiety and panic disorders. By 2010, it was the 12th most prescribed medication in the country, and it remains in the top 20, with 27 million prescriptions written for it each year. Because of its potency and rapid onset, it also has a high propensity for abuse. Fifteen years ago, before the onset of the current opioid epidemic, a nationwide study by the federal Substance Abuse and Mental Health Services Administration found that recreational use of benzodiazepines accounted for 35 percent of all drug-related visits to hospital emergency rooms and urgent care facilities. Although those numbers included other benzos —Klonopin, Ativan and Valium — Xanax was the most commonly abused, and between 2004 and 2011, emergency room visits due to benzodiazepines increased by 150 percent. 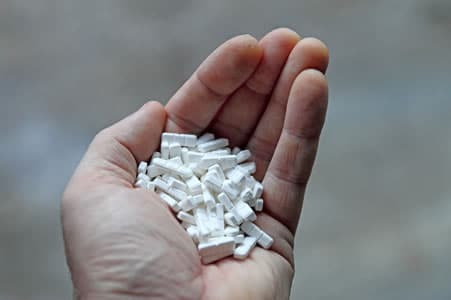 It’s also one of the few drugs that can be lethal during the withdrawal process: In extreme cases, benzodiazepine withdrawal can lead to psychosis and/or seizures, and it’s recommended that anyone with an addiction to benzos be safely withdrawn in a safe and secure Medical Detox program. When taken in large doses or in combination with alcohol and/or other drugs, Xanax can be dangerous. Those who combine it with alcohol can experience respiratory failure or worse because both substances depress the central nervous system. For that reason alone, those who take benzodiazepines of any type should avoid driving or operating heavy machinery, as the sedation can impair the user’s ability to operate those things safely. If you take benzodiazepines, you likely already know its effects, and the idea of operating machinery while under the influence may seem like a no-brainer. However, perhaps there are other issues that have begun to reveal themselves that make you question whether you have a problem. You have multiple prescriptions from different physicians. This is what’s known as “doctor shopping,” and while federal drug databases make it more difficult to do it these days, those who are driven by desperation often find a way. You run out of your medication before you’re supposed to. There’s a joke in the rooms of addiction recovery: “The label says take one every four hours, but I always read it wrong and took four every one hour!” If your doctor prescribes a 30-day supply but you run out before the end of week two, then you’re taking more than you should … and you might have a problem. 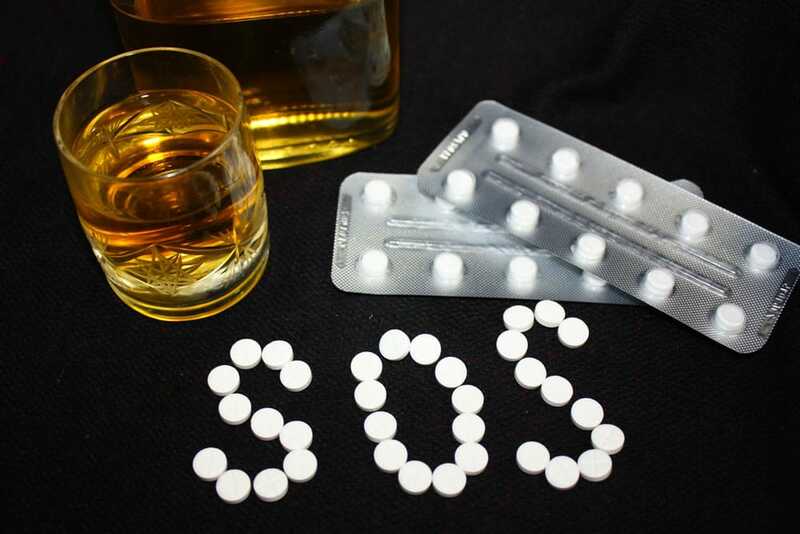 You suffer noticeable physical signs of benzodiazepine use: slurred speech, drowsiness, vertigo and impaired coordination are all indicators of abuse. If friends or coworkers notice and ask you if you’ve been drinking, chances are … there’s a problem. You suffer from withdrawal symptoms when you’re not taking benzos. Ongoing benzodiazepine use and abuse can lead to physical dependence, and you may not even realize you’re hooked until you stop taking them and start experiencing side effects: anxiety, panic, irritability, insomnia, headaches, muscle pain, an inability to concentrate, high blood pressure and even tremors can all be signs that your body is dependent on benzos. Mixing other drugs or alcohol with your benzo intake is not a deterrent to you. According to some studies, 30 percent of opioid overdoses were also linked to use of benzos; additional research has shown that 54.2 percent of those who take benzos also use opioids, and 24.7 also drink alcohol. If you’re using benzos to titrate the effects of other chemicals, then you’re not taking it as prescribed … and there might be a problem. You act impulsively while on benzos. This can be anything from attempting to forge a prescription to shoplifting something while you’re in a store; it’s a spur-of-the-moment decision that you later regard as reckless or even dangerous. You obsess about benzos. If you spend much of your day thinking about taking your next pill, or filling your next prescription, or live in constant fear of running out, then what can be described as an unhealthy obsession might have another name: addiction. Other areas of your life begin to suffer. Maybe you’re nodding off in school or are distracted at work. Perhaps you fight with your spouse or partner who has a glimpse of what’s going on and wants you to stop. If your use of benzodiazepines is interfering with your relationships, your job or even taking the place of hobbies and interests that were once precious to you, then that’s clearly an issue. You’re isolating to avoid confrontations about your use. Your friends or loved ones may suspect, and they may have hinted at their knowledge, but discussing it also means the possibility of having to acknowledge it, and the thought of giving up your benzos terrifies you. If you recognize yourself in this sign … it’s not normal behavior. You suffer financial, social or even legal consequences. Let’s face it: Those who don’t have a problem with benzodiazepine addiction aren’t fired from their jobs because of their use. They don’t lose their families because of it. And they’re not arrested for it. If any of those things have happened to you, then it’s time to take a hard look at what’s going on. Like any prescription medication, benzodiazepines have legitimate medical uses. However, because of their mind- and mood-altering effects, they also have the potential for abuse and addiction. If you have a prescription, it’s always wise to take an inventory of how well you’re managing such medication, and if you recognize yourself in some, or most, of these warning signs, then it’s wise to seek help. Talk to your prescribing physician, or call a professional organization that will treat you like the person you are: someone who’s sick and needs some help. From our detox program to our residential inpatient treatment to our intensive outpatient program, Cornerstone of Recovery has the tools you need to stop the problem and start living again. Call our Admissions staff today at 1-866-865-3689.